Whilst not all of these may be relevant to your work, they a) may be in the future, and/or b) definitely deepen your understanding of Excel. And according to employers, Excel is a “skill” (if one was to reduce it to “one” skill) that accounting graduates still show deficiencies in. In the second part of this mini-series on digitization and digitalization, I would like to highlight the connection between digitization, digitalization and accounting information systems (AIS). This connection is nothing new in modern AIS that are typically computerized, i.e. business processes are reflected on a digital basis. The collecting, processing, storing and outputting of accounting information is at the heart of any AIS, to enable crucial tasks like financial reporting or management decision-making. It is (almost) obvious how digitization plays a role in this. The conversion of paper receipts, bills of materials, or other relevant documents into the AIS is an ongoing task. It is also a major undertaking if a company implements a modern AIS – decisions need to be made what type and range of relevant documents need to be digitized (converted into binary form) and transferred into the AIS, so that the data does not get corrupted in the process. Clearly, the focus here is on the technical side of the AIS. The accountant is of particular importance here, since it is part of his/her job description to be in charge of corporate information. Ideally, the accountant is also a major contributor to the design, implementation and maintenance of the digitization processes here, linking management needs to IT capabilities. Digitalization is now directly linked to the purpose of AIS. The latter’s purpose as stated earlier in this post (collect, process, store, output accounting-relevant information) is clearly in line with leveraging digital technologies to enable, improve, transform, and support business processes and decision-making (see Part 1 of this mini-series). Designing, implementing and running an AIS can at the same time support a rethinking of a business’s current processes and operations, and as such, turn it into decision-relevant information. In other words, AIS can enable digitalization processes in a business. Again, this bears important implications for the accountant who as main information hub should enact his/her influence on the digitalization process to achieve the business’s objectives. In a nutshell, digitized accounting information needs to enter the AIS which in turn is a leveraging technology to support the digitalization of the business. And this had, has, and will have a major impact on the role of the accountant in businesses in the future. I will discuss this aspect in the third part of this mini-series. Digitization is the process of creating digital versions of analogue and/or physically represented data. This has per se no business or accounting meaning, but is a necessary part of the digitalization process (see below). 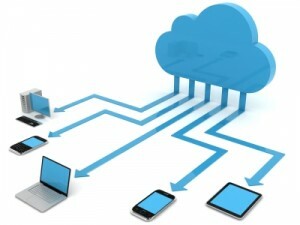 The output of digitization can then be used by computers and software for further processing. Archives, for instance, digitize their records to preserve them, make them searchable, and distributable if needed (you can find an example for the US National Archive digitization project here). Digitalization in turn is the leveraging of digital technologies and digitized information to enable, improve, transform and support businesses, business operations, business processes, decision-making, big data usage, etc.. Digitization is a necessary step in the digitalization process, especially if companies want to reduce (or even eliminate) the dependency and use of physical records (typically on paper). This does not only help improve the business, but also save a considerable amount of costs in paper usage, waste, and archival storage. Where the purpose of digitization is the conversion of records into a digital format, digitalization is geared towards actionable business needs. Very often, these terms are used synonymous, but in fact, they are not! The difference (or rather complement) between them can be likened to cost and management accounting. There, cost accounting denotes the tools and actions to record, process and output costing data, whereas management accounting adds the purpose of decision-making to the cost accounting toolbox. This entails important implications for accounting information systems, which I will cover in the second part of this mini-series. As accountants working closely with IT, we need to be aware of threats to sensitive corporate data. The attack by ransomware virus wannacry in May 2017 has clearly indicated that many companies such as the NHS or Deutsche Bahn were not prepared well enough for such attacks. In this short blog post by Nick Huber from CA Magazine, he lists seven common cyberthreats that accountants should not only be aware of, but also take measures against. Micros oft Excel is the standard and go-to application when using spreadsheets – there is hardly any spreadsheet user who has not worked with Excel at one point in their professional career before. Now that Microsoft has spread out beyond the PC onto tablets, smartphones, and has become cloud-based, its distribution is ubiquitous. As such, it has become even more important to create professional spreadsheets that can be understood and collaborated on in a seamless manner – there, Google Docs has clearly shown the way. 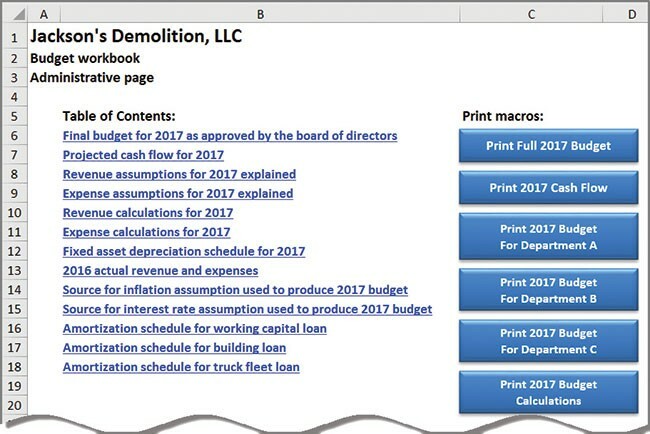 In this blog post by J. Carlton Collins, he details 15 highly useful and – may I state – necessary rules for designing meaningful Excel spreadsheets that start with adequate documentation and a table of contents, well-organised spreadsheets, named ranges/cells, and quality management to avoid errors and misconceptions. These steps are not dealing with style per se, but with good practice that will enhance your reputation as spreadsheet expert.